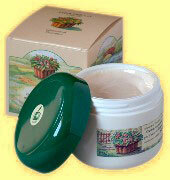 My favourite organic eye cream ( actually I should say ‘my favourite eye cream’ ) is the Rose cream Fitocose. When I use it I wake up in the morning with the softest and the smoothest eye area. When I apply it in the morning, it keeps my eye area hydrated untill night (hydration is the base for wrinkles preventing – yayyy). I don’t know what else to expect from an eye cream.